1/4" hex drive insert bit that holds Wiha's System 4 Micro Bits. Holds all SYSTEM 4 Series bits. Wiha branded tools are regarded as the most durable, best designed and highly innovative products around. Our tools are used by demanding professional tradespeople and tool aficionados alike. They are meant to be used and utilized often. However, if you are not happy for any reason return them within 12 months of purchase with proof of purchase and we will Repair or Replace. Rest assured, if for some reason there is a defect in material or workmanship we will replace your tool free of charge for as long as you own the tool. Failures due to misuse, abuse or normal wear and tear are not covered by this guarantee. We stand by our products with what we believe is the best No Hassle Guarantee in the industry. Wiha Tools has the right to exclude bits, Tweezers and Ceramic Screwdrivers. These products are either consumable or wear easily. All torque tools are designed to be re-calibrated after 5,000 cycles or 1 year (whichever comes first). Some areas do not allow the exclusion or limitation of incidental or consequential damages, so the above limitation or exclusion may not apply to you. This guarantee gives you specific rights, and you may also have other rights, which vary, from state to state, province to province, or country to country. This No Hassle Guarantee is the sole and exclusive guarantee for the Willi Hahn Corporation dba Wiha Tools. No employee, agent, dealer, or other person is authorized to alter this guarantee or make any other guarantees on behalf of Wiha Tools. Fits perfect, just what I needed! I ordered this along with the Wiha 75704 T4 System 4 Torx Micro Bit to remove the battery panel on my Moto G4 Plus phone. I would recommend getting this because it allows Wiha's tiny tips to be used in a standard 1/4" driver. It got the job done and my phone is working again. I wasn't excited to see, however that it was made in Taiwan and there was a slight bit of play between the System 4 Bit and this adapter. In the end, though, it did the job. 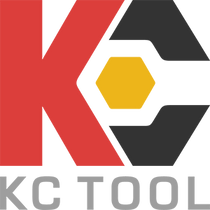 Thanks, KC Tools! The wihia micro bits fit well, with little slop and this works great to use the mico bits in bigger screwdrivers such as the nice wera drivers. Holds bits tight. I was impressed for the price. Use all your system 4 bits in any standard 1/4 drive tool. Wiha is if the highest quality and I am replacing every tool I own with a wiha alternative. Great little item that does just what we need it to. Best adapter, best quality & best price. This adapter is one of the handiest things you can get for your 1/4" drive screwdrivers. It allows any micro bit to be used without resorting to the crapoy drivers that come with most microbits. An all round excellent product at a very affordable price. Wiha 71491 2.9" ClicFix Magnetic Insert Bit Holder 1/4"
Wiha 71130 2.9" Universal Magnetic Insert Bit Holder 1/4"